If you are considering having a new fence installed on your property in Bedford, NY then you need to call Red Fox Fence, the expert fence company. You can reach us at at (845) 254-0330. 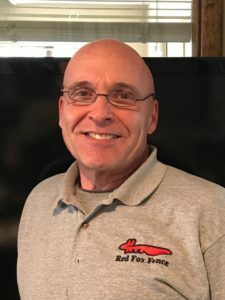 Since 2006, Red Fox Fence has been the go to fence company in Bedford, NY. We have installed many different types of fencing for some of the 17,000 residents of Bedford, NY. Whether you need chain link fence for the perimeter of your property or your yard, or a tennis court fence, we can help. Many of the beautiful homes in Bedford, NY also have inground swimming pools. As a premier fence company, we can show you many styles of swimming pool fences that we install for your pool area, or even a new deer fence to keep them out of your pool (ok, so deer aren’t good swimmers – we get it!). With customers in Bedford Hills and Katonah as well, we would love to show you some of the beautiful fence designs that we can build & install for you, as well. Whatever type of fencing you need, or even if it is a new driveway entry gate that you are considering for your home in Bedford, NY, please call us at (845) 254-0330. Let us add you to our list of happy customers in Bedford, NY! If you would like to learn more about Bedford, NY and its happenings, the Record-Review, a weekly newspaper, reports on local issues in Bedford and Pound Ridge. The paper has been in existence since 1995. Bedford, NY does have a few very nice landmarks, as well. While they are typically located very close to the Bedford Green, nothing is more than just a few minutes from each other as Bedford, NY only encompasses about 40 square miles. Having said that, the Bedford Green is located in the center of what is considered the historical district, which is located along Route 22. There is an old one-room stone schoolhouse, and a few homes from the colonial era that families are still living in and are all kept painted white with black or green shutters. In addition, The Bedford Free Library, which is a member of the Westchester Library System, is also located on the Village Green. In fact, Bedford Hills and Katonah also have libraries that are members of the same system. 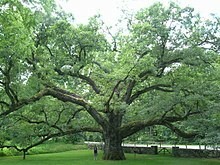 One of the most well known attractions in Bedford is the 300 year-old oak tree that is known as known as the Bedford Oak. It is located on Route 22 at Hook Road.